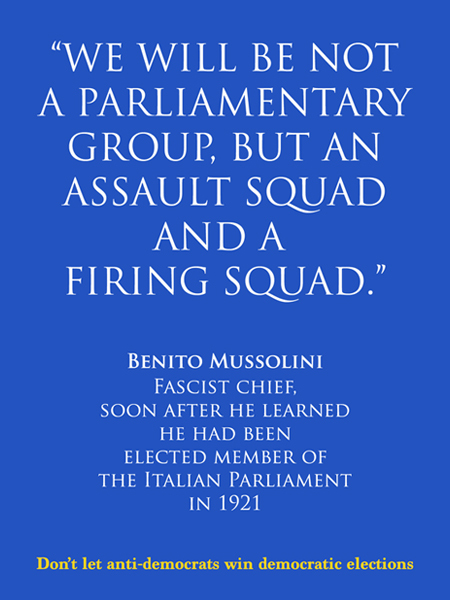 Benito Mussolini, Fascist chief, soon after he learned he had been elected member of the Italian Parliament in 1921. Don’t let anti-democrats win democratic elections. After seeing Mussolini 2019 calendar on sale in Rome.